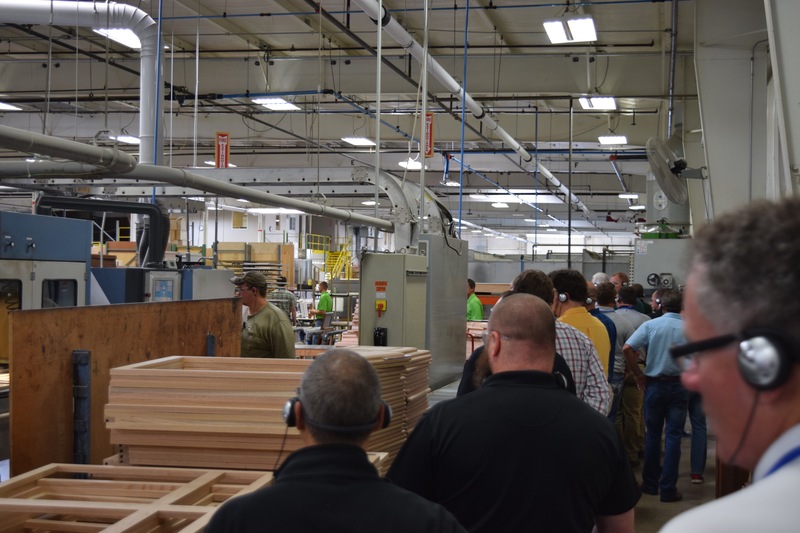 HIGH POINT, N.C. - Stiles Machinery recently hosted its Manufacturing Solutions Seminar showing wood manufacturers of all sizes technology solutions for current challenges and opportunities in production. 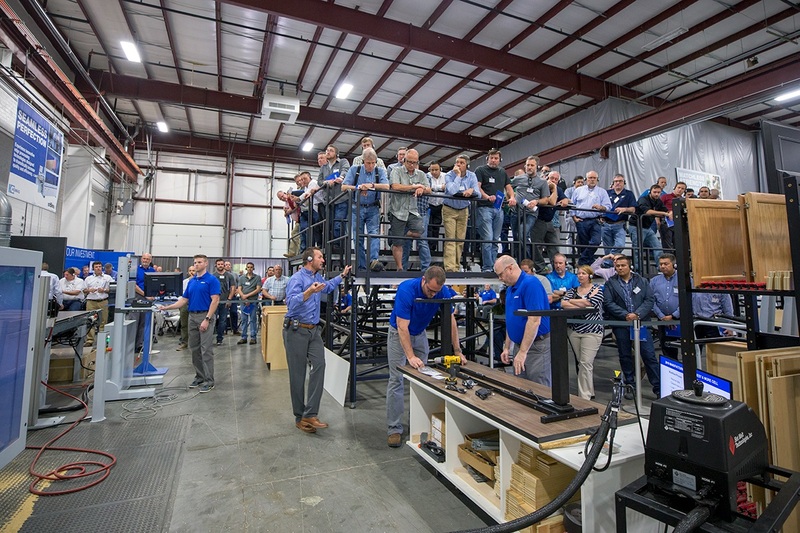 The event, which was attended by nearly 200 manufacturing professionals from across the country, took place May 1-3, 2018, at Stiles’ world-class technology showroom and finishing lab in High Point, North Carolina. 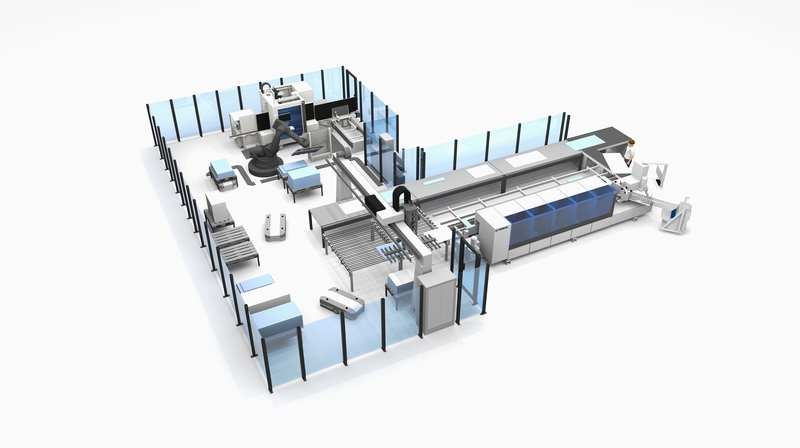 On Tuesday, May 1, and Thursday, May 3, guests heard from Stiles’ panel processing experts, including live demonstrations using state-of-the-art panel dividing equipment, a fully-automatic work cell with integrated robotics, and the latest technology in saw operator assistance. Wednesday, May 2, was dedicated to Stiles’ wide variety of solid wood solutions including a continuous production work cell of a five-piece door, money-saving tooling technologies, and techniques in sawing, sanding, and finishing designed to increase performance and yield. “The manufacturing seminar is a holistic approach to a wide range of challenges facing today’s manufacturers. Attendees had the chance to not only experience demonstrations on world-class machinery, but also hear from experts on culture in the workplace, talk with industry leaders, and network with peers to share insights and ideas,” said Sylvain Dubuc, Regional Director at Stiles. 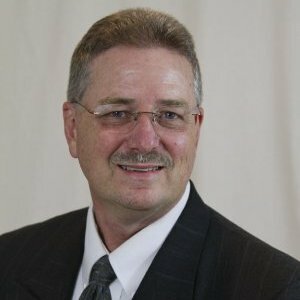 Throughout the event, attendees also heard from fellow manufacturing professionals, including Beau Lewis, CEO of Lewis Cabinets, whose presentation about building a culture of care in the workplace, struck a chord with many attendees. Beau discussed how investing in the wellbeing of their workforce, both within and outside of the workplace, has resulted in employees who feel supported and empowered to be innovative and resourceful when it comes to problem solving. This “mindset investment” has opened the doors to new opportunities and greater possibilities for the company. Other popular speakers at the Manufacturing Solutions Seminar included Sebastien Desmarais, President of Hollywood Woodwork, and Thomas Allott, Manager of Stiles University. While Sebastien discussed benefits of networked production and optimizing factory floor space, Thomas addressed the challenges and opportunities surrounding today’s workforce and the different resources that are available to find, hire and retain skilled workers.